We identify new talent, develop civic capacity, train political candidates, deepen democratic engagement, expand opportunities for real people to make a real difference in their communities and our country. Strong candidates run successful campaigns. We are dedicated to providing high quality candidate trainings based on our candidates’ needs. From media training to debate prep, our team provides all of the tools needed to build a strong and noteworthy candidacy. We know that in any district, it takes people-power to win. That’s why we strive to build coalitions that will amplify our candidates’ messages and bring resources to their campaigns. It’s all in the numbers! We specialize in providing key strategic guidance to our candidates in every district. Our team works with candidates to identify key targets in their districts, develop outreach plans, and understand their voters. Effective fundraising is key to running a successful campaign. We provide in-depth resources to candidates to help them identify and build their donor base, develop call-time strategies, plan effective fundraising events, and more. The Women’s Wave is coming. On Saturday, January 19, the Women’s March will convene its main event in Washington, DC while sister marches are once again held across the country. Democracy is a process, not a product. Melissa Harris-Perry, Ph.D is the Maya Angelou Presidential Chair at Wake Forest University. There she is founding director of the Anna Julia Cooper Center, whose mission is to advance justice through intersectional scholarship. She is also founder and co-director of the innovative bi-partisan program, Wake the Vote. For more than a decade, Harris-Perry has contributed to American public life through her distinct combination of scholarly analysis and ordinary wisdom applied to the analysis of race, gender, politics, and power. Her writing has appeared in the Wall Street Journal, New York Times, Chicago Tribune, and many other print and digital venues. She was among the initial cohort of writers for TheRoot.com and authored highly regarded columns for both Essence and The Nation. Currently, she is editor-at-large for Elle.com and a contributing editor at The Nation. Committed to diversifying American journalism and mentoring emerging public voices, Professor Harris-Perry has developed and implemented innovative mentoring efforts including the Elle.com scholars program centering the stories of women and girls of color and BLACK ON CAMPUS, a national student journalism program in partnership with The Nation. She is the author of the award-winning Barbershops, Bibles, and BET: Everyday Talk and Black Political Thought, and Sister Citizen: Shame, Stereotypes, and Black Women in America. Along with Dorian Warren, Harris-Perry is principal and co-host of Freedom on Tap, an independent media project combining live events, digital, and audio content. She hosted the award winning television show “Melissa Harris-Perry” from 2012-2016 on weekend mornings on MSNBC and in 2016, she won the Hillman Prize for broadcast journalism. Harris-Perry received her B.A. degree in English from Wake Forest University and her Ph.D. degree in political science from Duke University. She serves on several boards and award committees and is a trustee of The Century Foundation. James and Melissa live in North Carolina. They are married and business partners managing several joint endeavors including Crooked Room Productions, Rosa Acres Homestead, and Perry Political Partnership. They are also raising two extraordinary daughters and tending a delightful flock of chickens, ducks, bunnies, and dogs. If you never run, you never win. James H. Perry, J.D. is president and CEO of the Winston-Salem Urban League. 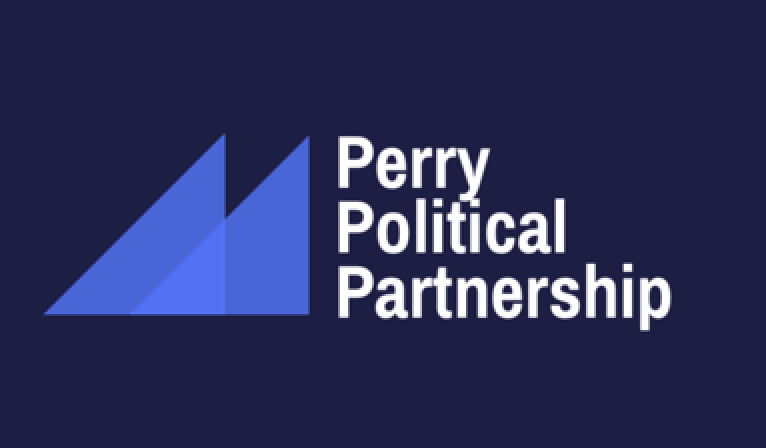 Perry leads a 20-person team across the North Carolina’s Triad, advocating for civil rights, employment opportunities, economic opportunities, affordable housing, health and wellness, voting rights, food security, and more. Under his leadership, Perry has authored the eye-opening State of Black Winston-Salem report, raised nearly $1.4 million, and strengthened and reorganized the agency’s programs. Before taking charge of the Winston-Salem Urban League, Perry served for 10 years as the Chief Executive of the Greater New Orleans Fair Housing Action Center. Perry led the center through hurricane Katrina, the most disastrous hurricane to make landfall in America. Under his leadership, the center won more than half a billion dollars for victims of discrimination across Louisiana. Perry founded the Mississippi Gulf Coast Fair Housing Center, has testified before Congress eight times, has served on dozens of local, state and national boards and commissions, and has managed political campaigns numbering in the dozens. He currently serves on the National Fair Housing Alliance Board of Directors. Perry is a political science graduate of the University of New Orleans and Loyola University School of Law. Perry has been a candidate for elected office and served in the leadership of the Orleans Parish Democratic Party.